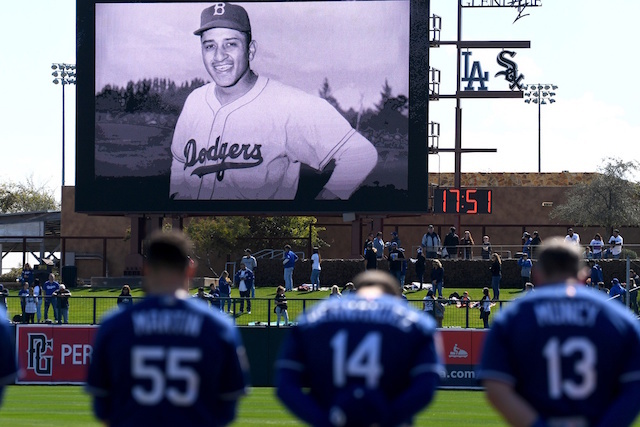 The Los Angeles Dodgers family lost a beloved member this past February when Don Newcombe passed away at the age of 92 after a lengthy battle with illness. His death was mourned by Kenley Jansen, Sandy Koufax, Justin Turner and Vin Scully, among others within the organization. It was symbolic of the impact Newcombe continued to have on the Dodgers decades after his playing career wound to a close. The legendary right-hander was a fixture at Dodger Stadium, regularly sitting with not only current Dodgers but also opposing players who sought his wisdom. The franchise is honoring Newcombe’s legacy this season by wearing a “Newk 36” jersey patch. 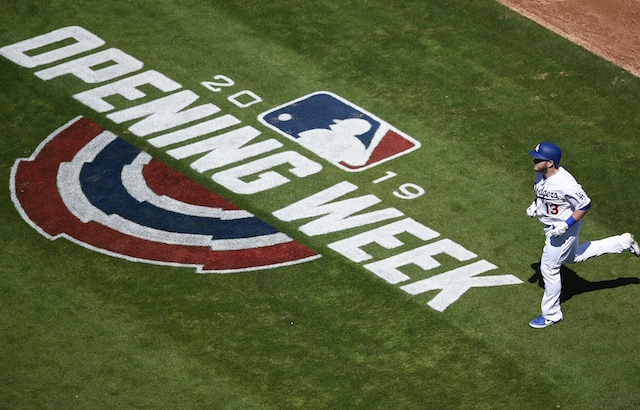 The Dodgers additionally played a video on Opening Day which was narrated by actor Dennis Haysbert and looked at Newcombe’s career. Last September, Newcombe was among the former players named to the inaugural class of “Legends of Dodger Baseball.” Beginning this season, the Dodgers are inducting franchise greats into the “Legends of Dodger Baseball” in recognition of their impact on and off the field. Inductees receive a plaque honoring their achievements with the franchise, which will also be on permanent display at Dodger Stadium. Newcombe spent eight of 10 seasons with the Dodgers, from 1949-51 and 1954-58. He missed the 1952 and 1953 seasons while serving in the Korean War. Newcombe was part of the Dodgers’ first World Series team in 1955, a four-time All-Star, 1949 Rookie of the Year, and winner of the Cy Young and MVP Awards in 1956. Newcombe and Justin Verlander are the only pitchers in MLB history to win Rookie of the Year, Most Valuable Player and Cy Young Awards.